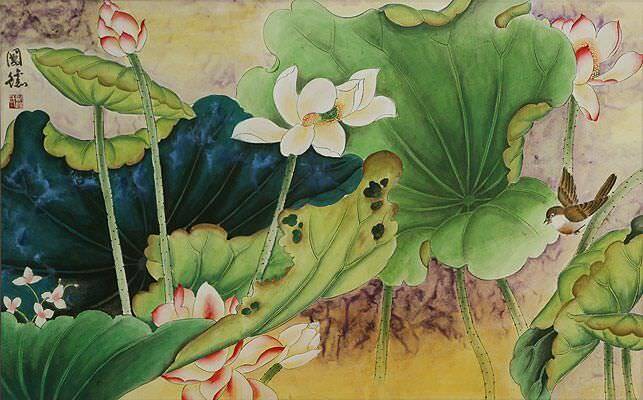 Artwork Panel: 32cm x 131.3cm ≈ 12½" x 51¾"
Silk/Brocade: 40.9cm x 187.2cm ≈ 16" x 73¾"
Featuring large flowering lavender-colored branch, and a reddish-brown bird. The Chinese title is 情韻 (Qíng yùn) which can be translated as, "Beautiful Feeling". Some will translate this as a "feeling of fun" or even "rhythm of love." 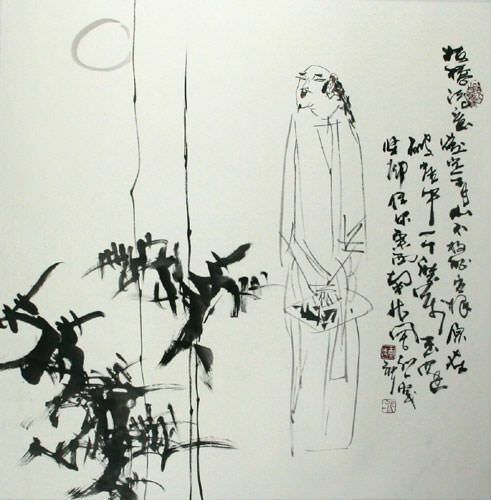 The rest of the characters indicate this was painted in 2010 signed "Jian Qiu" (the artist's given name) at the artist's studio called "Qingfeng studio."